There is too much of everything to even scratch the surface of anything in a blog like this. I have my desk piled up with interesting stuff, but you can be sure that you will only get to hear and see a tiny little glimpse of it all. For example, I got a package from Pieter Dorrenboom yestrday, with all his Dutch reli records. What a great gift! That is enough to write about for a week, but I had other things in mind too. 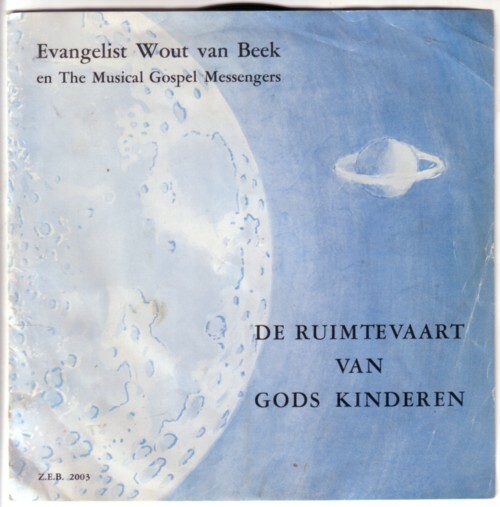 Here is the best record from Pieter, a 45 by the evangelist Wouter van Beek and the Musical Gospel Messengers. I have other records made by Wout van Beek, but I find this one is by far the most interesting. This goes right into the top ten of my favourite postings on this blog!